MiTek’s Adjustable Deck Tension Tie (ADTT-TZ) is designed to resist lateral loads that pull a deck away from a structure. 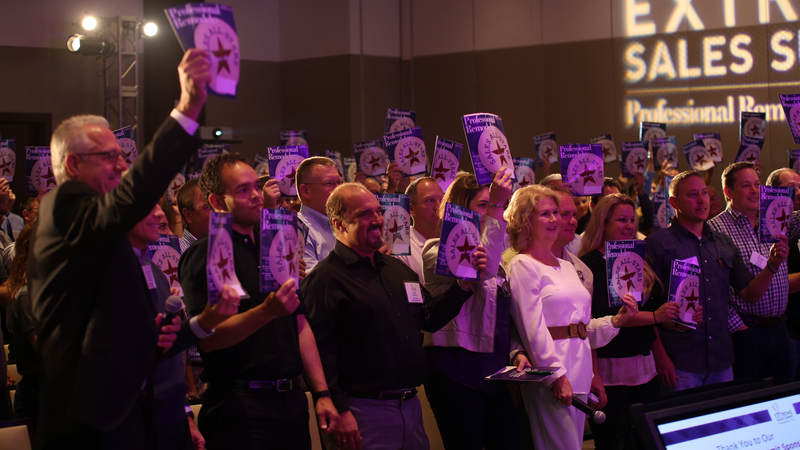 By using the ADTT-TZ, remodelers can ensure 2015 IRC code compliance, which requires installation of a hold-down device with a minimum allowable tension load of 750 pounds in four locations on the deck. The ADTT-TZ satisfies those requirements and can be installed with screws either adjacent or up to 4 3/8 inches below deck joists, avoiding the need for blocking extensions. Specific-ally engineered to be adjustable, the tie is made of 14-guage steel with G-185 galv-anizing and offers a two-hold break-out washer that MiTek says will work with multiple screw sizes. 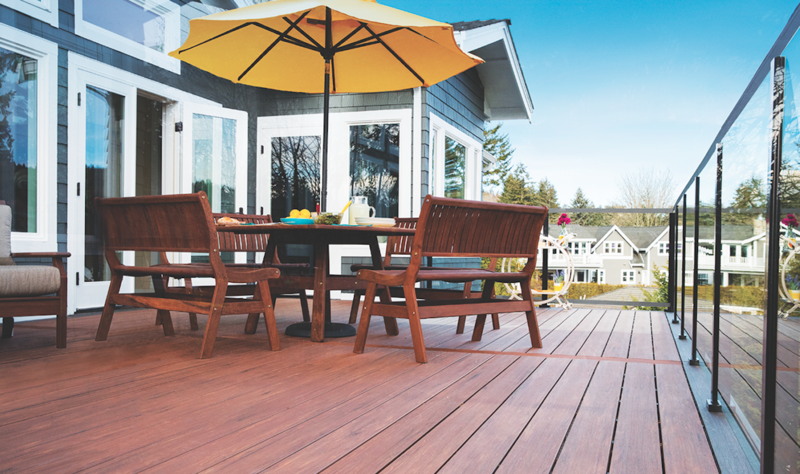 Azek Deck offers elegant, on-trend products made from capped polymer high-performance materials in three collections: Vintage, Arbor, and Harvest. 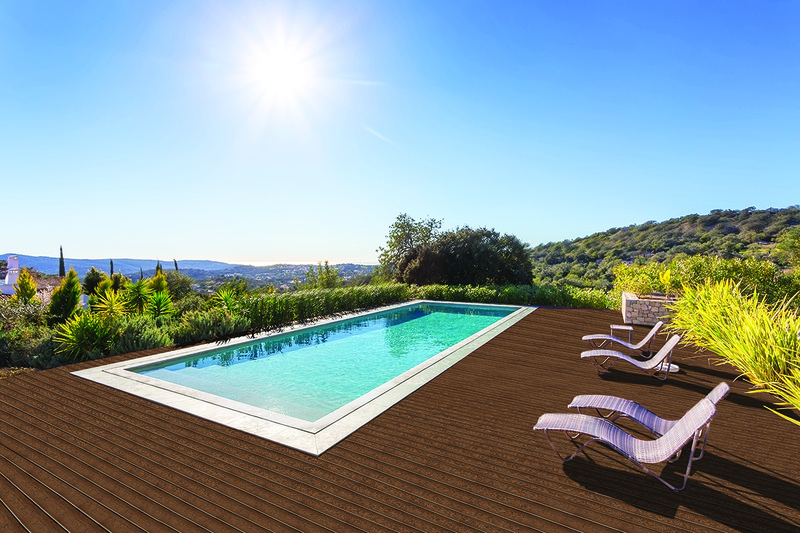 Protected by Alloy Armour Technology, Azek decking is a beautiful, long-lasting wood alternative selected from a collection of colors and grains for an enhanced real-wood look. Azek Deck is lightweight and easy to install, making it well suited to rooftop installations. It resists stains, scratches, and moisture damage, stands up to harsh weather, and comes with a 30-year limited fade and stain and limited lifetime warranty. 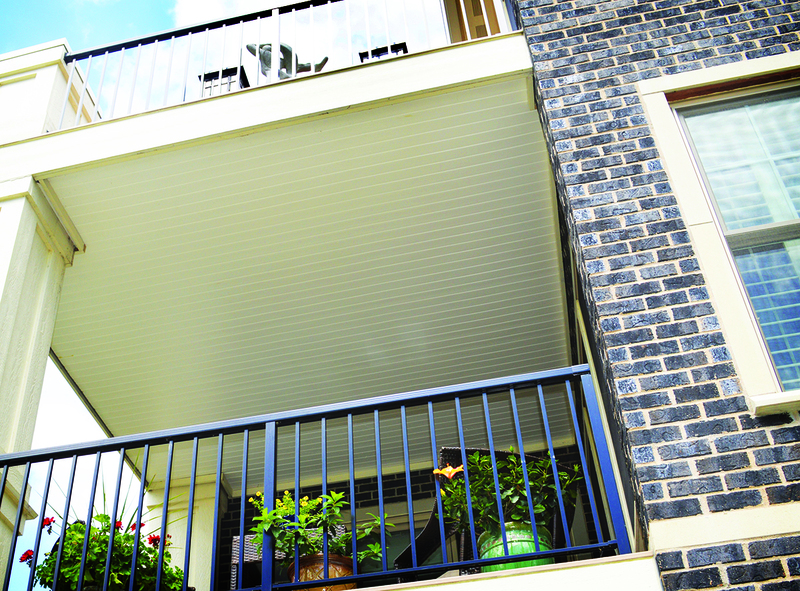 The Upside Ceiling System from Color Guard Railing Systems is an attractive way to finish the underside of a deck with a beadboard look, using just three main components—a starter strip, a dual sliding clip that attaches to the starter strip, and the beadboard. It’s also versatile. 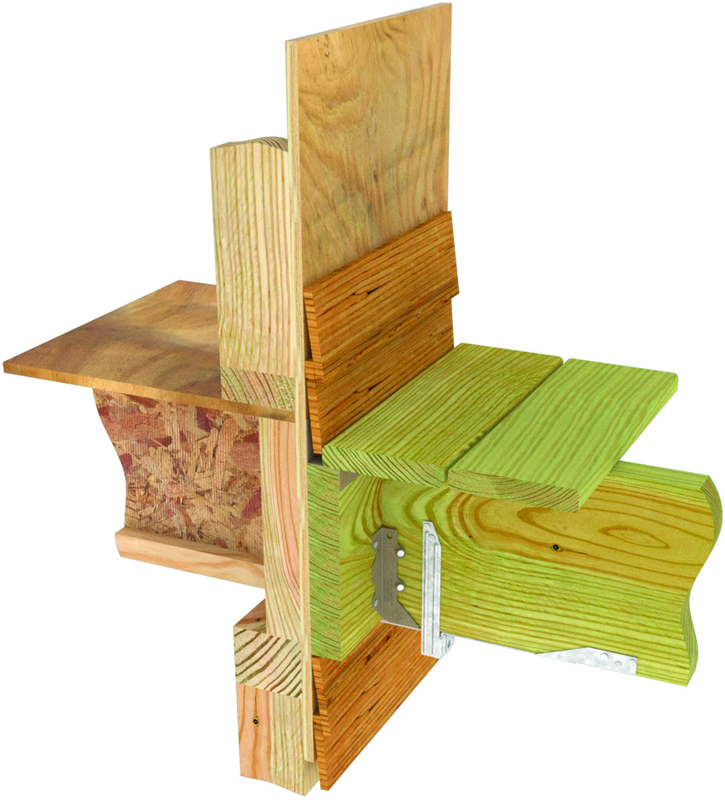 In relation to the joists, the starter strip, which screws directly onto the deck, can be placed one of three ways: parallel, perpendicular, or diagonally, so the ceiling system is adaptable to various deck shapes and configurations. The system is currently available in both Off-White and Tan. AERT offers a realistic wood-grain finish and rich color variegation with its range of Moisture-Shield composite decking: MoistureShield Refine and Moisture-Shield Infuse (shown). Refine enhances Moisture-Shield’s proprietary moisture-resistant core with an added layer of protection and has an integrated cap for enhanced durability. 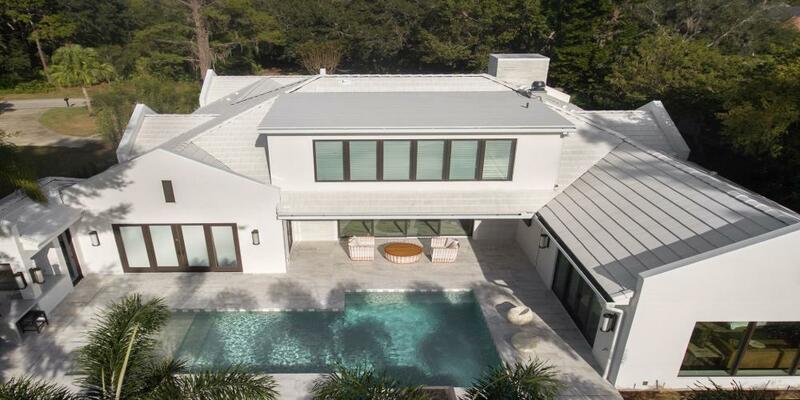 Infuse offers deep earth tones and uses MoistureShield’s CoolDeck tech-nology to optimize heat reflection, absorbing up to 35 percent less heat than conventional capped composites in similar colors, the company says.